PETRA III beamlines in three experimental halls. FLASH beamlines in two experimental halls. 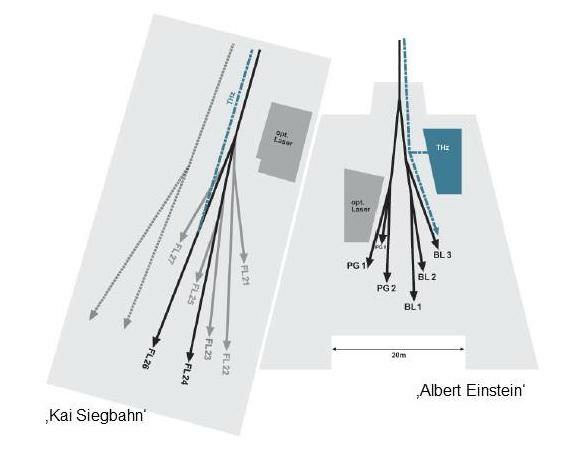 The DESY Photon Science facilities PETRA III and the free-electron laser FLASH provide over 20 beamlines for manifold applications in fundamental and applied research. 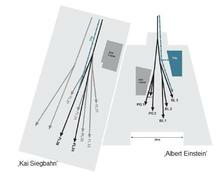 Detailed technical information of the beamlines and experimental facilities are provided on the facility pages of PETRA III and FLASH. Users who are interested in working at the PETRA III beamlines P12-P14 have to prepare their proposal according to EMBL guidelines and have to submit it via the EMBL User Portal (EMBL Hamburg).